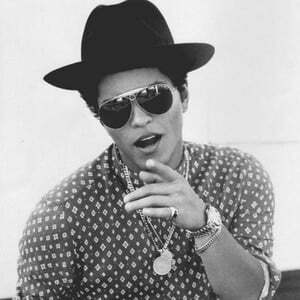 Peter Gene Hernandez (born October 8, 1985 in Waikiki, Hawaii), better known by his stage name Bruno Mars, is a Filipino-Puerto Rican American singer-songwriter, producer and multi-instrumentalist signed to Atlantic Records. He is most well known for his hit Just The Way You Are, which went #1 in 9 countries in 2010. He is also known for singing/co-writing the hooks for the #1 hit Nothin' On You by B.o.B, and Billionaire by Travie McCoy; he also co-wrote the international hits Right Round by Flo Rida and Wavin' Flag by K'naan.